SINGING THE VISION ~ CELEBRATION! Everybody, let's get together in a circle. 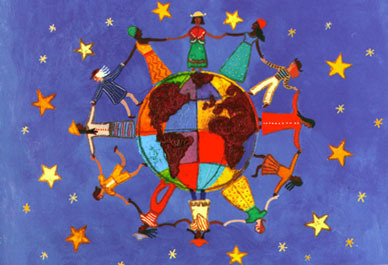 Join hands for all the world to see. Givin' out our love in a vision of peace. That'll fill the Earth's heart ... with delight! Givin' out our love in a vision of peace!